Visiting Paris in May is a fantastic opportunity to explore many of the beautiful outdoor aspects of Paris before the warmer summer months arrive. Paris truly comes alive this time of year, and its sidewalk cafes, countless gardens and parks, and unabashed wandering are all wonderful ways to spend an afternoon. 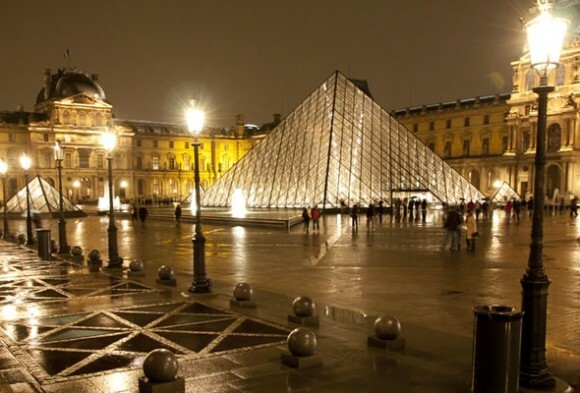 May 14, 2012: Paris Museum Night. Paris museums will be open all night (for free!) as Paris takes part in the international museum night gala. There are even special exhibits taking place in many of the most famous museums that focus on light that take place as well on this night. May 15, 2012: Inauguration of France’s new president, Hollande, takes place on May 15 and is sure to be quite a spectacle. The more socialist Hollande has replaced Sarkozy, France’s outgoing conservative president, as the country attempts to deal with its ongoing economic crisis. May 27, 2012: Belleville Galleries Artists' Open House. This yearly event is a great chance to get to know some of Paris' modern artists and explore their pieces, while also discovering a slice of truly local Parisian life. More than 250 artists open their studios to show their work and spaces for the 3 day event. May 17, 2012: For two weeks, the tennis world’s eyes turn to the clay court Grand Slam, Roland Garros. The French Open is a test of stamina, mental strength and all court prowess and is one of tennis’ most prestigious events. Incredibly, Rafael Nadal is going for his 7th French Open title, but will be challenged by the #1 player in the world, Novak Djokovic and Roger Federer.